For all skin types. This treatment consists of a cleansing facial and steaming that allows the skin to relax and absorb nutrients. Includes extractions, face and shoulder massage, moisturizing mask and hand treatment. This facial is designed for Acne skin. It consists of a soothing facial, deep pore cleansing, a gentle facial peel to remove dead cells and a clarifying mask which helps clear up skin congestion. Hi frequency is used to kill germs and bacteria and allow skin to heal. Good for all skin types. Deep cleansing steam facial followed with extractions, face and shoulder massage, mask and a moistening hand treatment. This facial will nourish skin and close pores. Good for all skin types. This treatment has 2 types of exfoliation, Gommage and Micropeel, which remove dull skin cells. Skin is first steamed and treatment includes a customized mask along with a face and shoulder massage and moistening hand treatment. This relaxing massage and facial begins with hot lava stones being used to massage the face, neck and shoulder. This is then followed up by a Gommage facial. Benefits are lymphatic, circulatory, endoctrine and nervous system relaxation. 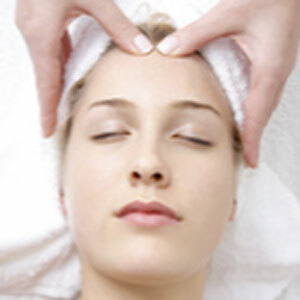 The overall result is an amazing radiance facial truly representative of a holistic treatment experience. This facial focuses on cell renewal. Fruit acid peel allows for deep skin exfoliation and gives skin an immediate smooth and radiant look. This is followed by a face and shoulder massage and hand treatment.